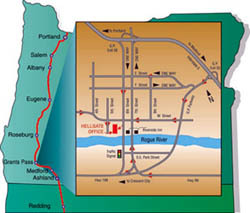 Experience the Northwest's #1 River Trip! 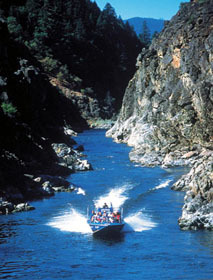 A visit to spectacular southwestern Oregon wouldn't be complete without a Jetboat adventure down the Rogue. 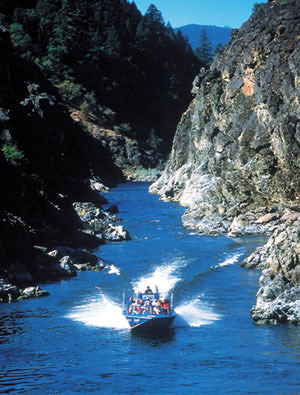 An excursion down the pristine Rogue River may seem an unlikely prelude to a leisurely country banquet dinner or brunch, but that's how thousands have come to experience the "Wild and Scenic" River each year. As the popularity of "green" vacation opportunities grow, so does the desire to experience areas of natural beauty. 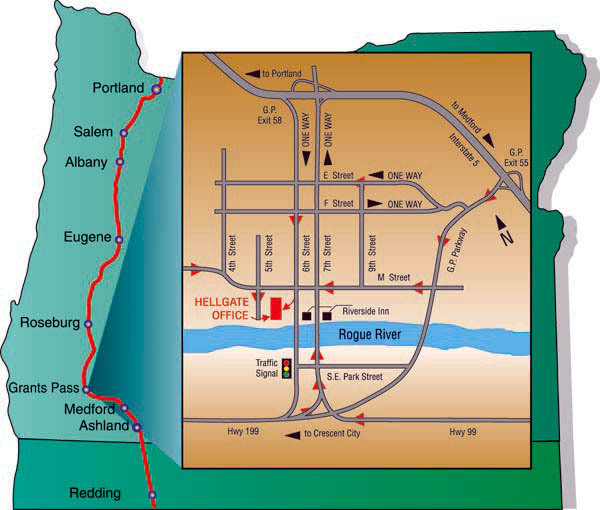 The Rogue River is one of the original eight rivers in the United States designated by Congress as Wild and Scenic. The Hellgate Jetboat excursion opportunity on this river is extremely unique and serves as one of a handful in the western United States offering a commercial sight seeing trip of this kind. These Coast Guard licensed boat pilots know the Rogue River like the back of their hands. Learning to skillfully maneuver the river has taken years of experience. These Jetboat excursions provide a unique opportunity for different generations to share the breathtaking natural beauty of the area. With their five different excursions to choose from, there's a trip to fit every schedule and pocketbook.